The San Diego Foundation is doling out $100,000 between five local artists and projects, an exhibition is bringing Barrio Logan to North County and more in our weekly digest of the region’s arts and culture news. 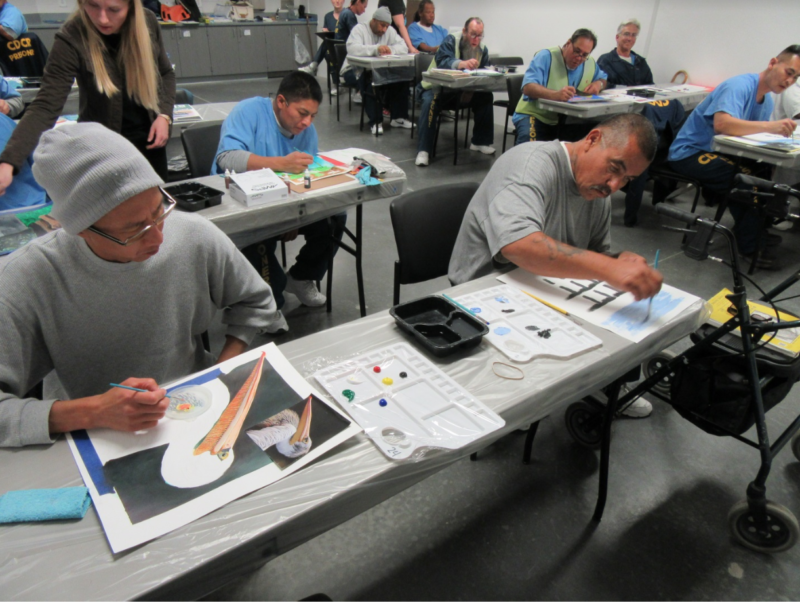 At the Richard J. Donovan Correction Facility in Otay Mesa, one inmate said the art classes he takes at the prison help him stay out of trouble. “I am able to focus on my positivity more & stay away from negativity,” the inmate wrote in an anonymous survey. The class is run by Project PAINT: The Prison Arts Initiative. The San Diego nonprofit is funded through Arts in Corrections, a partnership between the California Department of Corrections and Rehabilitation and the California Arts Council. On Thursday, May 10, Donovan inmates will show some of the paintings, drawings and sculptures they’ve made at a public exhibition inside the prison, which will go on view to folks who pre-registered to attend. The art show – the first of its kind at the prison – will take place in Echo Yard, a new, experimental part of the prison where the rules are looser and the prisoners have more freedoms and access to programs. Inmates earn access to Echo Yard through good behavior. Laura Pecenco, the founding director of Project PAINT, said she’s long wanted to stage an art exhibition inside the prison. The class is part of a statewide effort to revive arts programs for inmates. California’s Arts in Corrections program was running strong in the ’80s and ’90s, but funding cuts ended most art classes by the early 2000s. Advocates pushed hard to get arts programming back behind bars. Inmates at Donovan even wrote a manifesto in 2013, spelling out the many reasons arts programming was necessary. 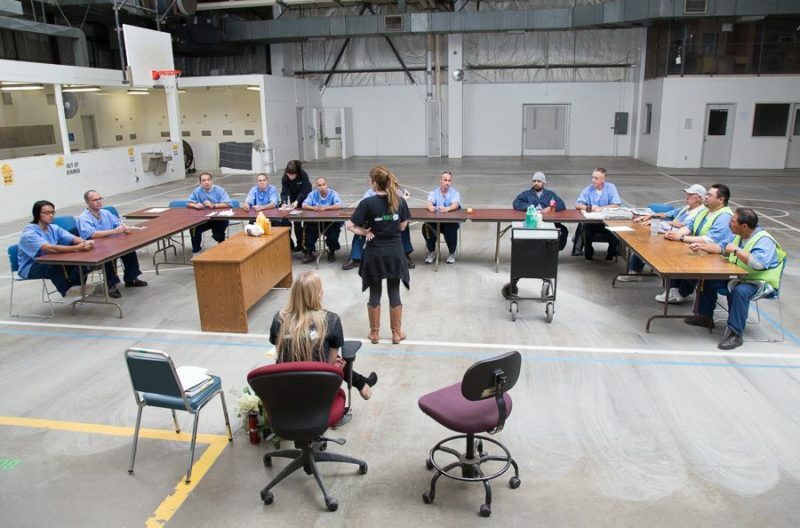 Studies have shown that art classes can reduce recidivism by giving inmates new skills they can use once they’re released, and helping make them happier, well-adjusted people. Studies have also shown arts programming increases the safety and environment of state prisons. Since 2014, Project Paint has been hiring professional artists in San Diego and, three nights a week, taking them to Donovan to teach art. Kathleen Mitchell, Anna Stump, Linda Litteral and Katie Howard are among the local artists who’ve led the classes. Work by about 50 artists will be on view at the show Thursday. All of the artwork is for sale, and proceeds will help buy supplies and fund additional arts programming. Those who didn’t register to attend can see and buy the work on the Project Paint website. Some folks don’t like the idea of treating prisoners to any luxuries or comforts like art classes. Pecenco said focusing on rehabilitation rather than just punishment is better for the entire community, not just prisoners. • The San Diego Foundation announced its latest round of Creative Catalyst grant recipients. The nonprofit will dole out $100,000 between five local artists and projects, including a video series exploring military culture in San Diego by filmmaker Evan Apodaca, a mural project by Maxx Moses in southeastern San Diego and more. • The winners of the 2018 SD Art Prize will be announced Friday at the opening of an exhibition featuring the work of the 2017 Art Prize recipients. • City Ballet of San Diego is closing its season with the world premiere of “Carmina Burana” and “Mozart’s Concerto for Flute and Harp.” The two ballets include a 100-voice choir providing the music, along with the City Ballet Orchestra. • Speaking of new seasons: Bach Collegium San Diego announced its 2018–19 season, as did New Village Arts. 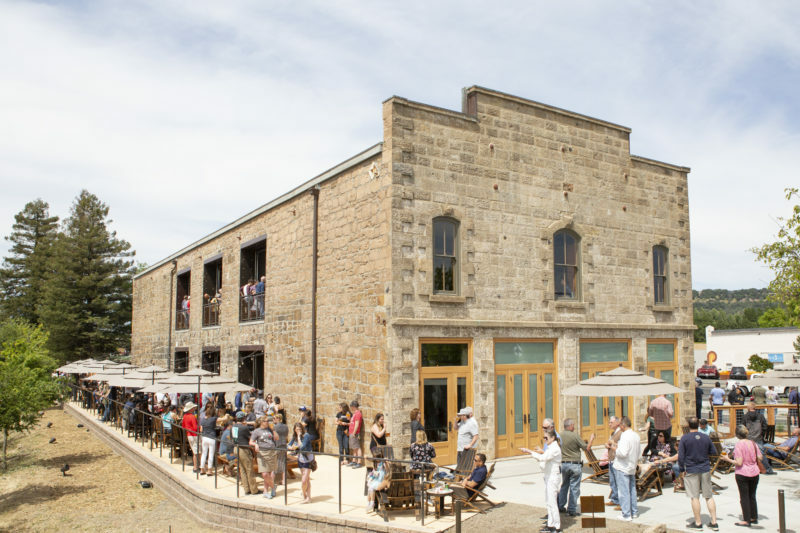 • A private gallery in Rancho Sante Fe is hosting an art exhibition meant to introduce North County to the Barrio Logan arts district. The show opens Friday. • Check out “From Visions to Victory: City Heights and the SR-15 Freeway,” a new 11-minute documentary that features in-depth interviews with City Heights community leaders from 1978-2018 who helped fight for perks when the 15 freeway was expanded through the neighborhood. In 2015, I wrote about a few of the promises to the community that remain unfulfilled. • Local women business owners are arm-wrestling at an event this week to raise funds for The San Diego Rescue Mission’s shelters for women and children. • This year’s Festival of Arts in North Park includes a craft beer block, food tastings, a live art block and more. • Here’s the story behind the San Diego Tattoo Invitational that just happened at Golden Hall. • San Diego’s annual Louisiana-style music and crawfish fest is this weekend. • The Athenaeum Art Center in Logan Heights is opening a multimedia exhibition featuring Isaias Crow and Armando de la Torre. The show is just one of many opening Saturday as part of the second Saturday Barrio Art Crawl. 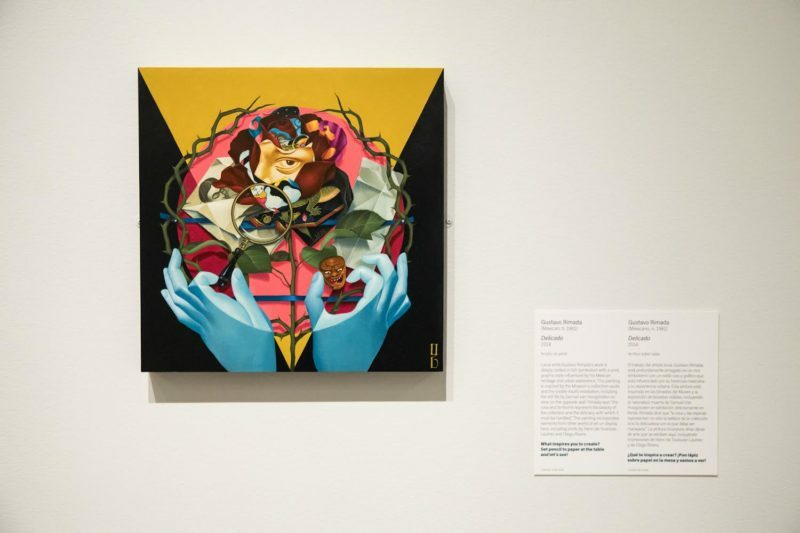 • UC San Diego and San Diego Unified announced a new partnership meant to boost arts education and create a connection between the two educational institutions. • La Prensa profiled Irma Patricia Aguayo, an artist who’s been active in the Barrio Logan arts scene. • There is no House of Mexico in the smattering of cottages known as Balboa Park’s House of Pacific Relations. Border Angels founder Enrique Morones thinks that needs to change. • Frank Warren, founder of the “PostSecret” exhibition showing at the Museum of Man in Balboa Park, will also be in San Diego this week to talk about his world-famous community art project. • My husband and I met as this annual tiki-themed party. • These restaurants rank high on San Diego Magazine’s list. • We tried to start a compost pile at my house, but failed. It’s hard to do it right. If you’re like me, and you want to compost but can’t seem to do it yourself, check out this new food scrap drop-off service. • New Belgium’s fun Tour de Fat festival is skipping San Diego this year. I’ve talked to New Belgium reps in the past who say San Diego’s governing beer festivals are the strictest of all the cities where they make stops. It’s something beer-minded city leaders know about. • It’s time for your beer fest of the week alert. There’s a Paella Wine & Beer Festival happening, too. The Vegan Street Fair Nights tour is also making a stop in San Diego this week. And tacos are the center of this food fest. Kinsee Morlan is engagement editor at Voice of San Diego. Email her at kinsee@vosd.org with arts and culture news and tips. Want to recommend this culture newsletter to someone? Share this sign-up link. Subscribe to Voice of San Diego podcasts.